Janie Bress - My North Shore Blog: Enjoy These Upcoming Events in The North Shore! As a North Shore Real Estate agent, I enjoy living and working in the North Shore for a variety of reasons. One of the things that I feel make any of the North Shore areas such as Highland Park, Glencoe, Winnetka, Northbrook or Deerfield, is the committment to an excellent quality of life and providing endless ways to get involved within the community. If you have lived in the North Shore for some time, you’re well aware of all that the area has to offer and what makes the North Shore such a great place to call home. However, if you’re new to the area or are considering buying a North Shore home, you’ll quickly find what draws so many to live in the North Shore. Whether you’re a current resident or just visiting; you’ll want to take a look at a few of the events and ways to interact with friends, family and neighbors within the next few weekends in the North Shore. - There are only a few weekends left to enjoy the Northfield Farmer’s Market! Take advantage of buying local produce, plants, breads, crafts and much more from local farmers, vendors and artisans. This is a great way to get to know other locals and support locally grown food! - Light the Night, presented by Wells Fargo Private Bank, is a walk to provide hope and raise funds for the Leukemia and Lymphoma Society. Everyone is invited to join in and raise funds for further research and support across the country. This walk brings a sense of awareness and helps build into the communities’ committment to join together and support great causes. 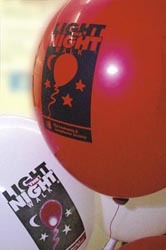 You can register on line at the Light the Night website or on the day of the race. - This Inaugural race will help raise money for the fight against breast and ovarian cancer. Everyone is invited to attend this event or register to run in the race! Post race activities include refreshments and a health expo! Please visit the Embrace the Race website for more information. I hope that you’re able to attend one, or all, of these great events taking place on Chicago’s North Shore. Not only will it give you a chance to get a feel for what living on the North Shore is all about, but you’ll be able to give back to benefit great causes and our North Shore communities! If you have questions about living on the North Shore or about the North Shore Real Estate market; I’m here to help! Please contact me anytime as I would love to talk with you about what makes the North Shore such a great place to call home and how I can help you throughout the entire home buying process.